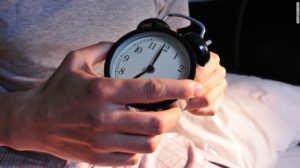 Scientists have long known that you have an internal biological clock that regulates various physical, mental and behavioral changes your body experiences over a 24-hour cycle, called circadian rhythms. Those circadian rhythms can slowly change as you age. Circadian rhythms – a cycle that tells our bodies when to sleep, rise, eat–regulating many functions and activities of our bodies. “Adolescents start to release melatonin later in the day than adults. then get sleepy later, and because they go to bed later, they wake up later,” So then, what would be the ideal work or school schedule for adolescents? show that irregular or overnight shift work can have a negative impact on your health.